I wholeheartedly recommend Andy Cazzato's Santa Cruz Solar as the best solar systems company in Northern California! 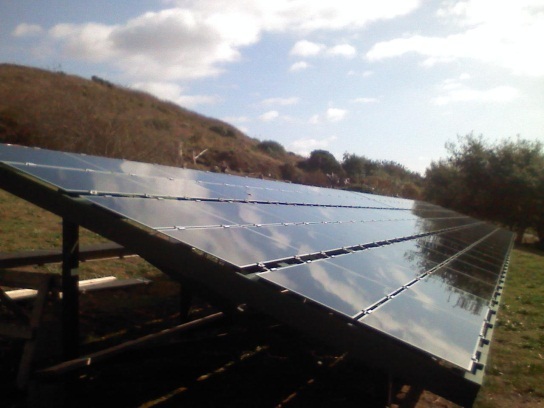 I have done business with Santa Cruz Solar since 1989. I once had a passive solar water heater on my roof that needed repair. The company that had installed it a few years earlier was out of business. Andy came out & fixed the problem promptly & expertly. Andy was informative about my solar water heater; its advantages & its shortfalls. Shortly after that I moved to my current home. The second house came with an active solar water heater. 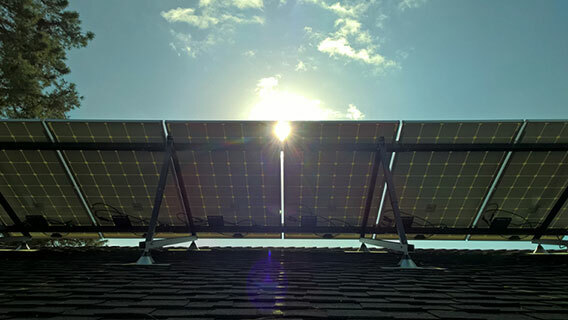 I had Santa Cruz Solar check out the system & do maintenance to get it in working order. After 24 years that system is still performing at its peak. Andy has only had to repair the system a few times - all for normal wear & tear. Each time Andy came out, I would talk at length about other solar systems and in particular photovoltaic (PV) systems. Andy's knowledge of the field is extensive & ever increasing. This "wisdom" is hard to come by and is probably the most important asset when it comes to the quality of work that Santa Cruz Solar performs. In 2009, I had my roof redone. Since I had planned to add a PV system, I had Andy install brackets for the panels and to remove & relocate the old active Solar Water Heater. Finally in 2012, I had him design & install the photovoltaic system. At the 2013 "true-up" PG&E owed US money! A few years ago, I completely lucked out when Andy Cazzato's Santa Cruz Solar was recommended to me. The project required 14 panels. I compared competing bids and found that Andy presented his plan clearly and cogently. The materials were the best available at a reasonable cost and assembled in a U.S. factory. The installation followed the proposed schedule exactly. The location of the chimney required special consideration and Andy proposed a minor alteration in the panel configuration to achieve more sunlight-to-energy conversion by avoiding chimney shadows. My wife and I called Andy Cazzato at Santa Cruz Solar to help us install a solar electric system for our home. We had purchased First Solar panels and a SunnyBoy inverter from a Craigslist ad. We decided that a ground mounted array was our best option. Andy was friendly and essential in drawing up the plans, getting the permit from the County, and making the final electrical connections. Andy was available with advice and instructions when I needed help before and during construction. I like to say that I installed the system myself, but the completion of our project wouldn't have happened so smoothly without Andy's guidance. The system has worked perfectly since day one and our electric bill has gone down to zero! I contacted Andy Cazzato based on a referral to install solar pool heating in 1992. I was impressed by the time spent to analyze our needs and make recommendations that allowed us to maximize the usage of our pool and spa during the year. 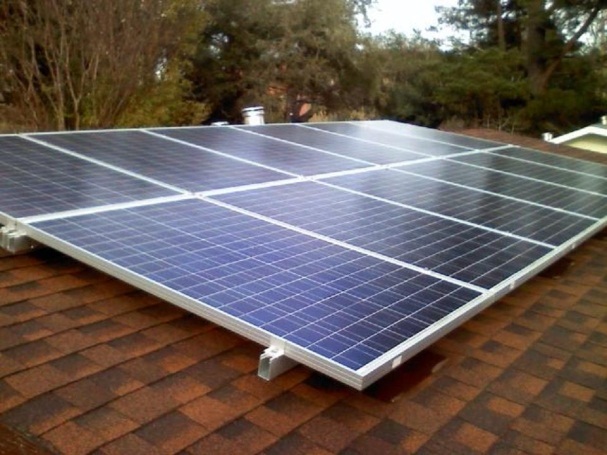 We have relied upon Santa Cruz Solar to maintain and tune up our system over the years and we are very pleased that the system works as well today as it did when it was installed. In 2007 we had a new roof put on our home. Santa Cruz Solar removed and re-installed the complete system; in addition Santa Cruz Solar added a 4kW PV system to our home which has provided 85%+ of our electrical energy needs. 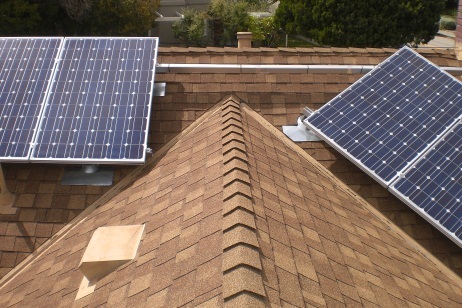 Santa Cruz Solar is our solar provider because they are responsive, knowledgeable, competitive and locally owned. 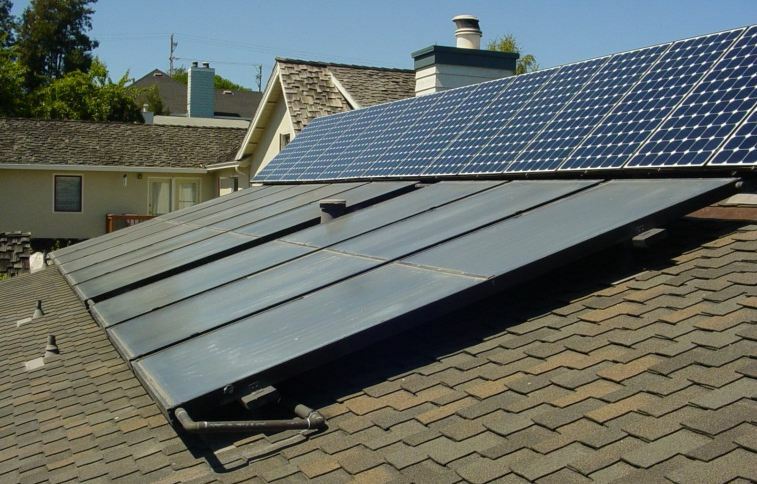 Santa Cruz Solar is the only company I would recommend and I continue to refer them to anyone looking for a company to provide solar heating or solar electricity. 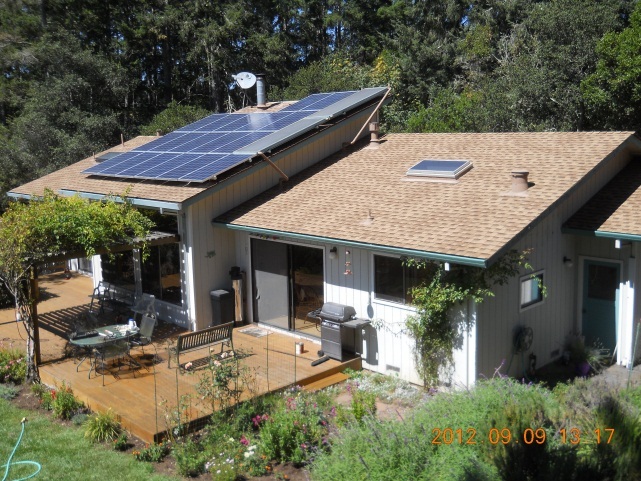 Andy Cazzato of Santa Cruz Solar recently completed a solar installation at my home in Santa Cruz. He has a lot of experience and was able to accomplish a lot on behalf of the project: situate the panels in the best possible way; deal with recent changes in the city's building code; negotiate with the Fire Department for a variance from the standard template plan; work successfully with the panel manufacturer and other suppliers; set up an internet interface for the system so that he can monitor it; and represent the system to the city and fire inspectors (which they approved). An interesting thing about this installation is that it is the smallest system Andy has ever installed. My household uses very little electricity, but I wanted to get an all electric car. The system is sized to cover that new, additional need as well. I'm very happy with it - as I tell others, I now fill up my car with sunshine! Thanks again for your time. Every time I have dealt with you, I have been very impressed with your honesty, knowledge, customer service and dedication. I only wish more people followed the same business principles as you. I have had my 4.7kW photovoltaic system since 2003, and have been quite satisfied with its performance. The system has worked well for many years without incident or need for service. Based on my rate structure and contract with PGE, I have not had to pay any incremental charges for electrical usage beyond the standard electrical service fee of approximately $6/month. I’m not sure if this is typical, but it certainly has worked for me. I had self-installed solar water heating systems at several properties in addition to my present home, but I called on Santa Cruz Solar for the PV system. Andy Cazzato’s background and knowledge of all types of alternative energy systems was amazing. This was especially refreshing after speaking with other companies’ salespersons, who really seemed to lack any deep knowledge of solar systems beyond their own companies’ offerings. There were no issues with the permitting process with the Town of Los Gatos. They signed off on the system on their first trip. Andy Cazzato was also quite resourceful helping me acquire additional modules of the same type a few years later as my energy needs increased. I had heard that matching modules were no longer available from Sharp Solar, but he was able to find them. I got competitive quotes from other solar companies, but Andy’s experience and longevity in this industry were the deciding factors for me.